Mist built the first wireless platform for the smart device era. By taking a user-first approach to networking, the Mist Intelligent Wireless Cloud (IWC) eliminates the operational burdens of legacy wireless architectures by replacing human interaction with machine learning and proactive automation. 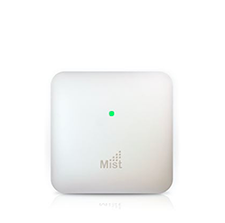 In addition, Mist takes unique advantage of user location and behavior to deliver a superior experience for wireless users. With patent-pending machine learning technology, the Mist platform simplifies Wi-Fi operations through automation and proactive recommendations. This ensures a better wireless experience for IT administrators, which translates to an amazing Wi-Fi experience for mobile users. 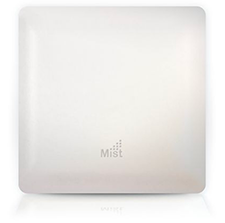 Mist eliminates the operational burdens of legacy wireless architectures with machine learning and proactive automation. Mist takes unique advantage of user location and behavior to deliver a superior Wi-Fi and Bluetooth® LE experience to wireless users. Turn-by-turn navigation. Location-aware alerts. Real-time asset tracking. Consistent and reliable Wi-Fi. 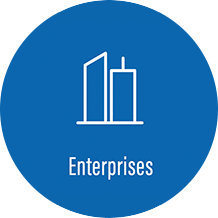 Here’s how you can benefit from Mist’s business-critical Wi-Fi assurance and enterprise-grade Bluetooth LE services. High-density Wi-Fi for passengers and airport operations. Wayfinding prompts for gates, restrooms, & airport businesses. Opt-in alerts for coupons and promos from airport businesses or boarding notifications. High-density Wi-Fi for students, teachers and guests. Wayfinding prompts for open labs or conference rooms across campus. Provide navigation specifically for disabled students. Location aware alerts for upcoming classes. High-density Wi-Fi for employee and guest use. Locate open conference rooms, printers and other resources. Send security notifications to employees on a particular floor. Analyze the utilization of your physical space. Enable doctors and patients to wirelessly access electronic medical records; provide guest Wi-Fi access. Directional wayfinding for patients and guests. Proximity messaging for patient check-in upon entry. Track patients and assets. Offer seamless guest Wi-Fi; enhance hotel operations over Wi-Fi. Provide wayfinding to rooms, hotel restaurants, fitness centers, swimming pools, and nearby stores/restaurants. Provide seamless, fast check-in upon arrival. Automatically greet loyal guests as they arrive. 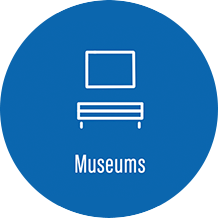 Enhance museum operations and provide guest Wi-Fi access for patrons. Guide visitors through the museum as they learn about exhibits. Deliver relevant information about a specific exhibit via text, video, or other content as a visitor approaches. Provide robust Wi-Fi for restaurant operations, order taking, and guest access. Help customers find open tables, restrooms, and other services in large eateries. Identify customers by name upon arrival; ask if they’d like to order menu items previously purchased. Provide high-density Wi-Fi for guest use and store operations. 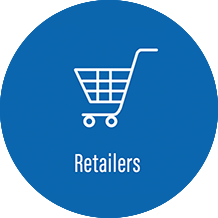 Provide wayfinding to specific departments or locations of a product in-store. Find the shortest checkout line. Notify shoppers in-store when items purchased are ready for pickup.